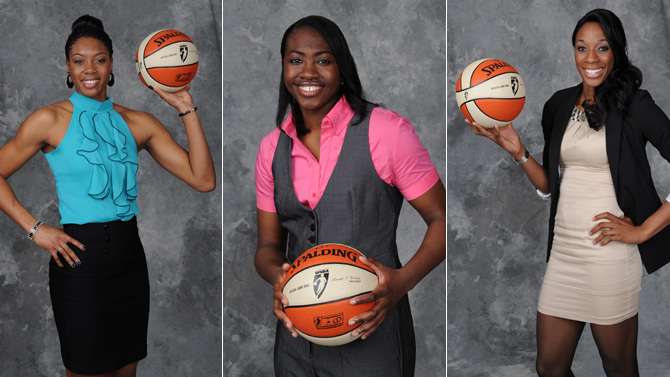 It will come as little surprise that entering the 2012 WNBA Draft, the two college programs that produced the most draft picks in league history would be the University of Tennessee and the University of Connecticut. But which team has the edge? 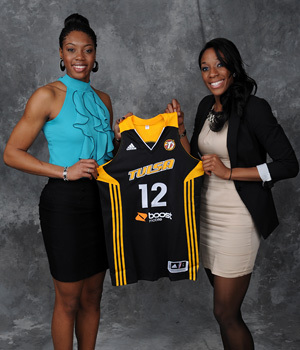 Prior to Mondayï¿½s 2012 WNBA Draft presented by Boost Mobile, the Lady Vols edged out the Huskies by one draft pick, 25-24. And with four players from Tennessee among this yearï¿½s draft class ï¿½ No. 2 Shekinna Stricklen, No. 4 Glory Johnson, No. 7 Kelley Cain and No. 25 Vicki Baugh ï¿½ compared to just one for UConn, the gap has opened a bit more. Over the past few years, the two programs have done a back-and-forth dance as to which team dominated the draft. Back in 2008, it was Tennessee with overall No. 1 pick Candace Parker and four other Lady Vols entering the WNBA. After Renee Montgomery represented UConn as the No. 4 pick in 2009, Geno Auriemmaï¿½s squad produced back-to-back No. 1 overall picks in Tina Charles and Maya Moore. By the way, they both went on to win Rookie of the Year honors. And now, following her first season coaching after being diagnosed with early onset dementia back in August of 2011, Summitt answered back by producing four new players to join the professional ranks. "I'm very thankful for how practices are run at Tennessee because I think it's going to prepare me for the future,ï¿½ said Baugh. ï¿½Pat Summit is all about business on the court and she's such a mother figure off the court. You wouldn't even know she's the same person. I think that's really going to help us with preparing for training camp and practicing on the pro level." The first Lady Vol selected was Stricklen, a versatile player with an enormous amount of ability, but question marks surrounding her consistency. Questions that Stricklen herself was well aware of. ï¿½A lot of people have been talking about me last season, how I would show up for some games and how I wouldnï¿½t for others, so I wanted to show I could be more consistent,ï¿½ she said. After Stricklen was selected at No. 2 by Seattle, it didnï¿½t take long for another Lady Vol to come off the board, as Johnson was swooped up by Tulsa with the No. 4 overall pick. Johnson, a 6-3 forward and SEC Defensive Player of the Year, has a bit of a Jekyll and Hyde personality. While she describes herself as a sweetheart off the court, she is a monster when she steps on the hardwood. The third Tennessee player selected came as a bit of a surprise, when the New York Liberty selected Kelley Cain with the seventh overall pick. Cain did not attend the draft, and furthermore, did not complete her final year of eligibility as the 6-6 shot-blocker was forced to shut down due to an injury history with her hips and knees. Cain had surgery after leaving the Lady Vols in an attempt to come back to basketball, but it remains to be seen when ï¿½ and even if ï¿½ sheï¿½ll be able to suit up for the Liberty as GM and head coach John Whisenant made a high-risk, high-reward pick midway through the first round. Another Lady Vol with a history of injuries was selected early in the third round when the Tulsa Shock picked 6-4 forward/center Vicki Baugh with the 25 overall pick in the draft. Baugh suffered a torn ACL in the 2007-08 championship game win over Stanford and was forced to cut her sophomore season short in 2008-09 due to a second ACL tear. The injuries left Baugh questioning whether she should continue to pursue a career in basketball. But after deciding to come back, she began to show signs of the special player she was when she arrived in Knoxville. So was Johnson, who will once again be Baughï¿½s teammate as the two embark on their pro careers together in Tulsa. To a woman, each of the now former Lady Vols credited their program and specifically Coach Summitt for helping prepare them for this stage of their basketball careers.